Lok’nStore will move down the road to a new 8000m2 modern purpose built facility spread over four floors, containing secure private steel units, in a range of sizes from small lockers, up to large spaces suitable for open or pallet storage. 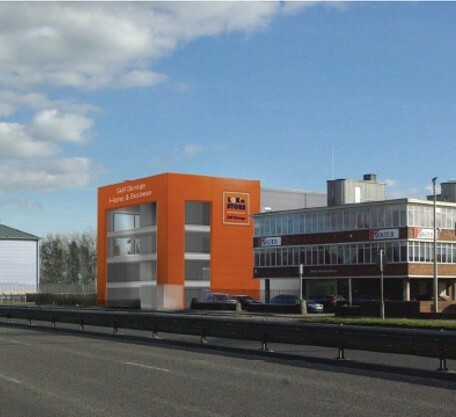 Fellows Construction Consultants are appointed by Lok’nStore Limited as the Project Manager, Cost Consultant, BREEAM, and CDM-C for the design and construction of a new self storage unit including all internal fitting out works. Fellows are providing a full range of pre and post contract services including: appointment of the design team, programming, cost planning, value engineering, tender process, contract documentation, Employer’s Agent/ Contract Administrator, BREEAM, CDM-C, monthly cost reporting and advising the Client of contractual obligations.